If you’re in the market for an exclusive full-size luxury sedan that’s more affordable than a new model, consider the advantages of a Certified Pre-Owned Mercedes-Benz S-Class. All Certified Pre-Owned vehicles include a thorough inspection process and an extensive road test to ensure they meet the high standards of Mercedes-Benz drivers. Recent models of the S-Class include a number of available options like multi-contour seat massage and heated armrests. To experience nothing but the best in luxury at a reasonable price, check out our selection of Certified Pre-Owned Mercedes-Benz S-Class vehicles. Only 34,330 Miles! Boasts 26 Highway MPG and 17 City MPG! Dealer Certified Pre-Owned. This Mercedes-Benz S-Class delivers a Twin Turbo Premium Unleaded V-8 4.7 L/285 engine powering this Automatic transmission. Window Grid Diversity Antenna, Wheels: 18 10-Spoke, Valet Function. * This Mercedes-Benz S-Class Features the Following Options *Urethane Gear Shift Knob, Turn-By-Turn Navigation Directions, Trunk/Hatch Auto-Latch, Trip Computer, Transmission: 7-Speed Automatic -inc: Driver-adaptive w/sport and comfort shift modes, Transmission w/Sequential Shift Control w/Steering Wheel Controls and Oil Cooler, Tracker System, Tires: P255/45R18 AS, Tire Specific Low Tire Pressure Warning, Systems Monitor. * Know You're Making a Reliable Purchase *Mercedes Benz of El Dorado Hills graded the Overall Condition of this vehicle as Excellent. Clean, non-smoker interior! * Expert Reviews! *As reported by KBB.com: If you demand that your full-size executive sedan possess prodigious power, commanding presence, the latest technology and enough amenities to make a hedonist blush, you'll find all that and more in the 2015 S-Class. If you happen to require all that minus two doors, see the all-new S-Class coupe. * Visit Us Today *Stop by Mercedes Benz of El Dorado Hills located at 1000 Mercedes Lane, El Dorado Hills, CA 95762 for a quick visit and a great vehicle! *Golden Rule*We are a Golden Rule company dedicating ourselves to world-class customer service in an environment of trust, dignity, and fun. George Grinzewitsch, CEO and Owner, Von Housen Automotive Group For more than 60 years, Von Housen Automotive Group has delivered high-end luxury vehicles to discerning clients throughout the greater Sacramento area, and is the place more people trust for quality, service, and a large selection of Mercedes-Benz vehicles. Von Housen Automotive Group operates three Mercedes-Benz dealerships in Northern California, including Mercedes-Benz of Sacramento, Mercedes-Benz of Rocklin and Mercedes-Benz of El Dorado Hills. The group also owns Mercedes-Benz Sprinter dealerships in both Rocklin and Sacramento. Mercedes-Benz of North America Von Housen Automotive Group has more than 300 dedicated employees and sells approximately $301,000,000 in new and used vehicles, parts and service annually. The team is also a leader in supporting community, philanthropic and non-profit initiatives. Stop by Mercedes-Benz of El Dorado Hills to experience a wide selection of Mercedes-Benz luxury cars, presented by Northern California’s leading team of sales advisors. Reach us online, or give us a call.Only 34,330 Miles! Boasts 26 Highway MPG and 17 City MPG! Dealer Certified Pre-Owned. This Mercedes-Benz S-Class delivers a Twin Turbo Premium Unleaded V-8 4.7 L/285 engine powering this Automatic transmission. Window Grid Diversity Antenna, Wheels: 18 10-Spoke, Valet Function. * This Mercedes-Benz S-Class Features the Following Options *Urethane Gear Shift Knob, Turn-By-Turn Navigation Directions, Trunk/Hatch Auto-Latch, Trip Computer, Transmission: 7-Speed Automatic -inc: Driver-adaptive w/sport and comfort shift modes, Transmission w/Sequential Shift Control w/Steering Wheel Controls and Oil Cooler, Tracker System, Tires: P255/45R18 AS, Tire Specific Low Tire Pressure Warning, Systems Monitor. 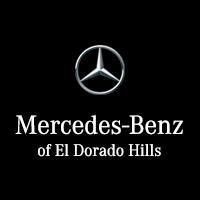 * Know You're Making a Reliable Purchase *Mercedes Benz of El Dorado Hills graded the Overall Condition of this vehicle as Excellent. Clean, non-smoker interior! * Expert Reviews! *As reported by KBB.com: If you demand that your full-size executive sedan possess prodigious power, commanding presence, the latest technology and enough amenities to make a hedonist blush, you'll find all that and more in the 2015 S-Class. If you happen to require all that minus two doors, see the all-new S-Class coupe. * Visit Us Today *Stop by Mercedes Benz of El Dorado Hills located at 1000 Mercedes Lane, El Dorado Hills, CA 95762 for a quick visit and a great vehicle! *Golden Rule*We are a Golden Rule company dedicating ourselves to world-class customer service in an environment of trust, dignity, and fun. George Grinzewitsch, CEO and Owner, Von Housen Automotive Group For more than 60 years, Von Housen Automotive Group has delivered high-end luxury vehicles to discerning clients throughout the greater Sacramento area, and is the place more people trust for quality, service, and a large selection of Mercedes-Benz vehicles. Von Housen Automotive Group operates three Mercedes-Benz dealerships in Northern California, including Mercedes-Benz of Sacramento, Mercedes-Benz of Rocklin and Mercedes-Benz of El Dorado Hills. The group also owns Mercedes-Benz Sprinter dealerships in both Rocklin and Sacramento. Mercedes-Benz of North America Von Housen Automotive Group has more than 300 dedicated employees and sells approximately $301,000,000 in new and used vehicles, parts and service annually. The team is also a leader in supporting community, philanthropic and non-profit initiatives. Stop by Mercedes-Benz of El Dorado Hills to experience a wide selection of Mercedes-Benz luxury cars, presented by Northern California’s leading team of sales advisors. Reach us online, or give us a call. Why Purchase a Certified Pre-Owned Mercedes-Benz S-Class from Mercedes-Benz of El Dorado Hills? To start, our sales team has the expert knowledge and training to show off our wide selection of pre-owned and used vehicles, and our no-pressure approach to financing has been impressing customers from Folsom, Rancho Cordova, and Gold River. If you happen to have any service needs throughout the life of your Mercedes-Benz vehicle, you can trust our experienced service staff. Visit our showroom at 1000 Mercedes Lane in El Dorado Hills, CA today, or contact us online with any questions you might have.